International Plant & Animal Genome XXIII San Diego, CA, USA. PAG XXII, January 10-14, 2015. Sollars ESA, Kelly L, Clavijo B, Swarbreck D, Zohren J, Boshier D, Clark J, Joecker A, Caccamo M, Buggs RJA, (2014). 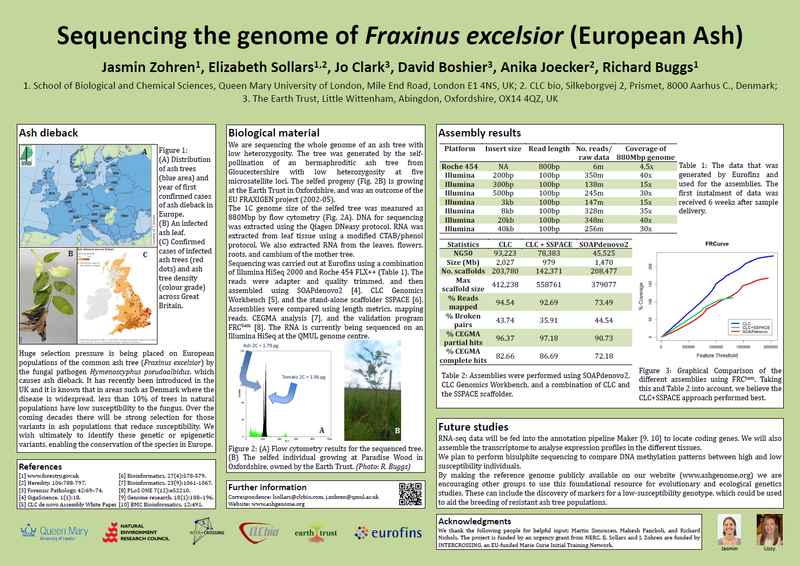 "The genome of Fraxinus excelsior (European Ash)". International Plant & Animal Genome XXII San Diego, CA, USA. PAG XXII, January 11-15, 2014. Sollars ESA, Zohren J, Boshier D, Clark J, Joecker A, Buggs RJA, (2014). 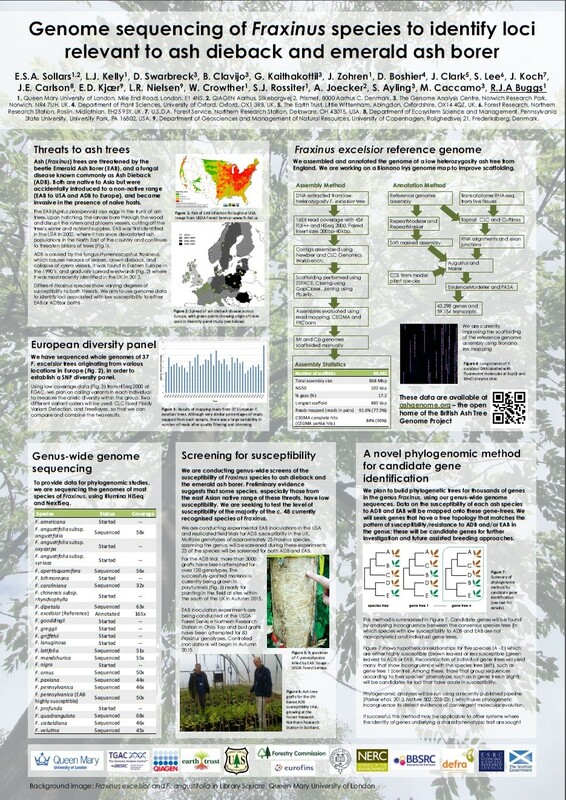 "Sequencing the genome of Fraxinus excelsior (European Ash)". 47th Population Genetics Group Meeting, Bath, UK. PopGroup47, January 7-10, 2014. 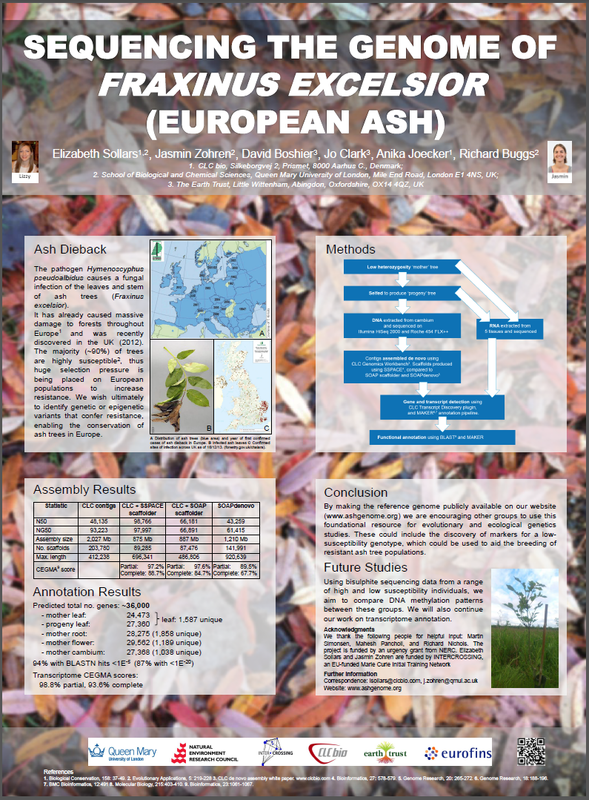 XIV Congress of the European Society for Evolutionary Biology, Lisbon, Portugal. ESEB XIV, August 19-24, 2013.